An absolutely essential part of any visit to London, Westminster Abbey is one of the city’s most iconic buildings. Steeped in over a thousand years of history, Benedictine monks first started worshipping at this site in the middle of the tenth century and the current building has been there for over 700 years. You will also have the use of an multi-media guide to ensure that you don't miss out on any of the history. This magnificent gothic construct is a sight to behold and the incredible stained glass is some of the most impressive in the UK. Created for King Edward I in 1296, the chair has been the seat for the crowning of every monarch since 1308, including Queen Victoria and our current reigning Queen, HRH Elizabeth II. It is the oldest piece of furniture in the UK that is still used for its original intention. The literary corner of the Abbey is named due to the large amount of poets and writers buried there, including Geoffrey Chaucer, Charles Dickens, Rudyard Kipling and Thomas Hardy, as well as many memorial stones and busts dedicated to the likes of Shakespeare and loved Scottish poet Robert Burns. 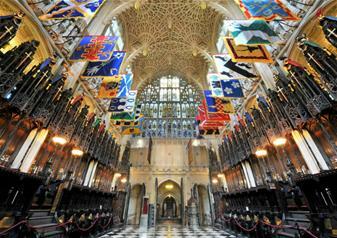 Westminster Abbey has been the coronation church since 1066 and seventeen monarchs are buried there. The Abbey was also the place where William and Kate tied the knot in 2011.